We’d like to update you on what your branch has been doing in the past few months on your behalf.  A high profile media campaign, that involved working with community groups and organisations.  A successful rally in the city centre, in partnership with the local TUC, to highlight our alternative to the local budget proposals. We were disappointed with the negative reaction in the Council Chamber on budget day, to the work that we did on your behalf. Our purpose was to make constructive suggestions about the use of reserves and disposal of assets to protect the jobs of our members and the services you deliver to the citizens of our City. 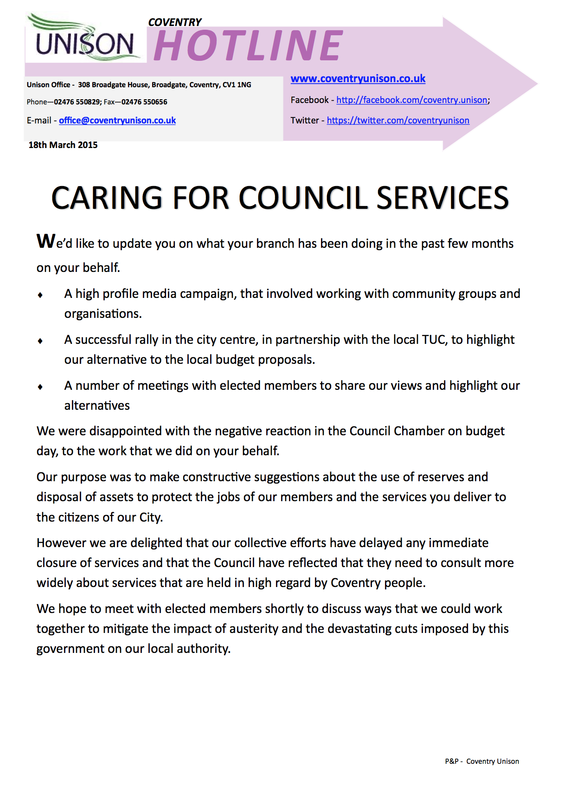 However we are delighted that our collective efforts have delayed any immediate closure of services and that the Council have reflected that they need to consult more widely about services that are held in high regard by Coventry people. 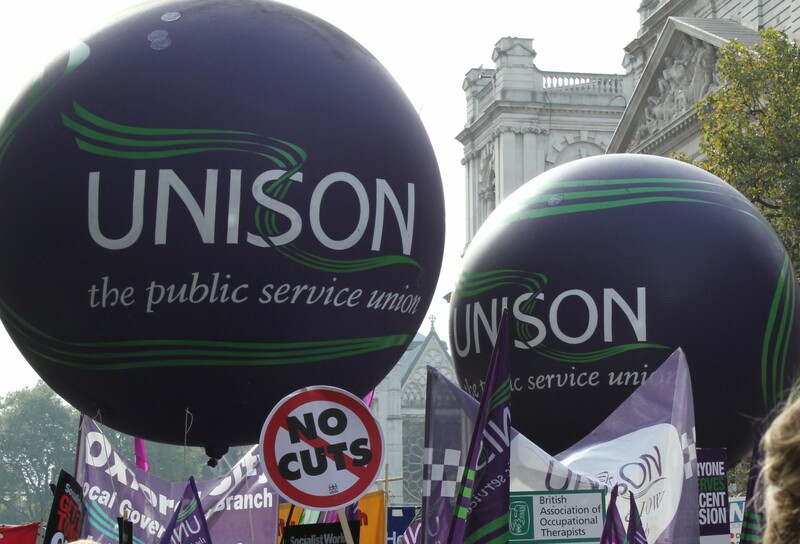 We hope to meet with elected members shortly to discuss ways that we could work together to mitigate the impact of austerity and the devastating cuts imposed by this government on our local authority.